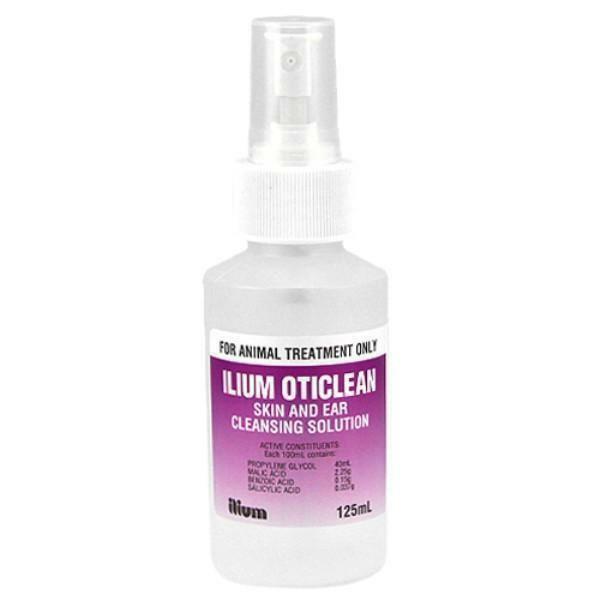 Ilium Oticlean 125ml Nozzle aids in the treatment of otitis externa, cleanses wounds and abrasions, removes debris and wax out of ears in pets. May aid the treatment of otitis externa, cleanses wounds and abrasions when healing, removes debris or wax out of ears in horses, dogs, and cats. Follow routine cleaning directions, repeating 1 to 3 times daily for several days or as directed by a veterinarian. Apply liberally to clean the wound. Repeat application 2 to 3 times daily as necessary.